HTC has expanded its offering of entry level Android smartphones with the HTC Explorer being officially unveiled as a 3.2-inch device utilising the company’s hugely popular Sense UI. Targeting the first-time smartphone adopter, the HTC Explorer is to be made available in a selection of colour schemes with the low-end specced handset bringing social networking and internet access to the fore in order to appeal to its target market. “HTC Explorer is an easy-to-use smartphone that puts the customer in control, providing quick access to their most important content and information,” said Jason Mackenzie, president of global sales and marketing, HTC Corporation. Playing host to a 3.2-inch HVGA touchscreen display the HTC Explorer boasts a 3-megapixel rear-mounted camera and will hit retailers in Metallic Black, Active Black and Metallic Navy colourschemes. Arcing back to the days of the Nokia faceplates and fascias Explorer users will also be able to customise their handsets with Metallic Blue, Metallic Orange, Metallic White and Metallic Purple transferable back covers. Whilst HTC has yet to officially announce the HTC Explorer release date and pricing information the Taiwanese handset manufacturer has confirmed the handset will touch down in the UK during Q4 of 2011. Networks and retailers are expected to announce prices and tariffs shortly. Stay tuned to T3.com for all the latest. 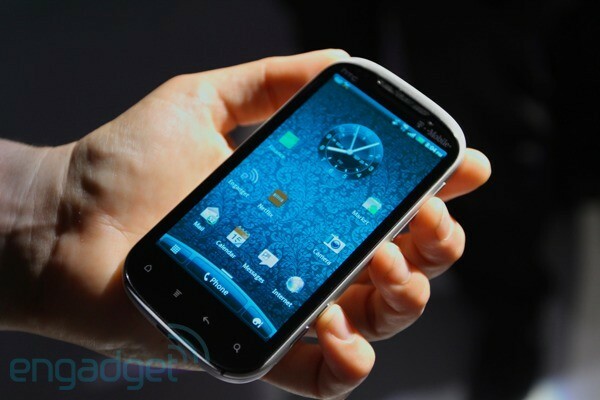 via HTC Explorer confirmed as entry-level Android handset | T3. 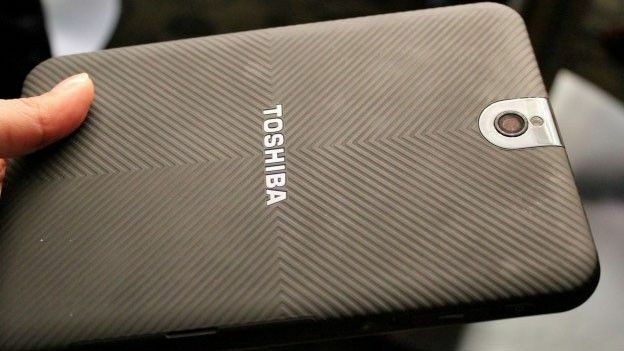 Toshiba has pulled the wrappers off of its new Thrive 7 Android tablet. As the name suggests, this is a 7-inch version of its older 10.1-inch Thrive slate, offering similar functionality but in a less chunky form. There’s micro SD and micro HDMI included, as well as an NVIDIA Tegra 2 processor for keeping things ticking along nicely under the hood. Android 3.2 is also kicking it inside, which means this is about as up-to-date as a tablet can get right now. There are 16GB and 32GB models, with US prices set to kick off under the $400 mark. Word is the Thrive 7 will be out across the pond in December, although plans for a UK release are as yet unclear. Fancy getting a Thrive 7? Or got your eyes on a different slimline slate? Tell us all about it in our comments section below. via Toshiba Thrive 7 Android tablet revealed | T3. Got a Windows Phone? Well, today’s the day you’ve been waiting for. The new version of the OS, Windows Phone 7.5, or Mango to give it its proper in-house title, is being rolled out now, with all devices getting the upgrade by the end of October. The new software includes improved Twitter integration, proper multitasking, better Facebook features and beefed up contacts and messaging apps. In all, it promises to make an already impressive OS much better. Some phones, including HTC’s new Titan and Radar handsets, have already got the update. Nokia’s first Windows Phone is expected to be released later this year, loaded up with the latest edition of the OS. Got a Windows Phone? Have you received your update yet? Tell us all about it in the comments section now. 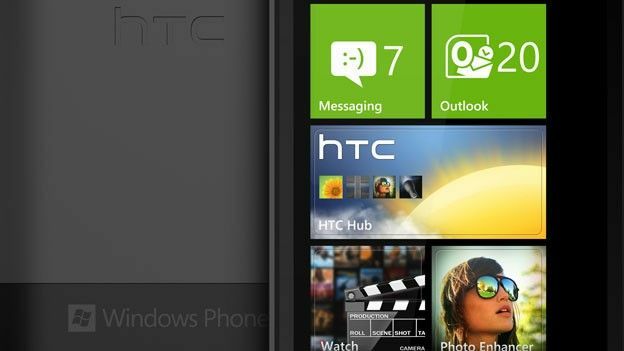 via Microsoft kicks off Windows Phone 7.5 roll out | T3. Ahead of today’s Amazon Kindle Fire release date announcement new reports have revealed the online retailer is to launch a second Android tablet in January 2012. Ramping up the second-generation Amazon Kindle Fire rumours before the original device has even entered the realms of reality, tech blog Gdgt has claimed the next Amazon tablet will be unveiled early next year as a superior model to today’s “stopgap” offering. With the next-gen Kindle Fire 2 tablet believed “to be the device Amazon really believes in,” it is claimed the model set to be unveiled today was hit by repeated delays and was originally planned to launch much earlier in the year. Expected to hit online stores next month, the original Amazon Kindle Fire is set to capitalise on the upcoming Christmas shopping rush. Whilst a second Amazon tablet launching within a matter of months would be sure to annoy early adopters it would no doubt put Amazon in a strong position ahead of the expected iPad 3 release date around April or May. Much speculation has surrounded the Amazon Kindle Fire features. 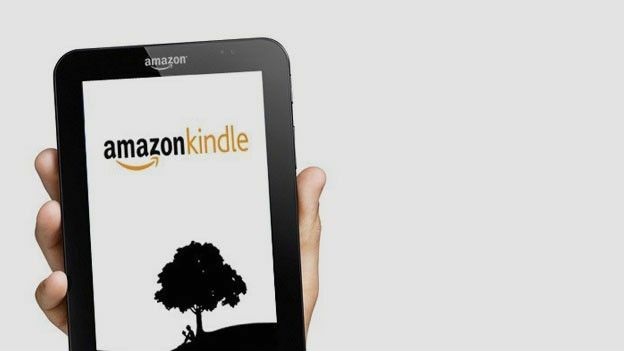 Hotly tipped for inclusion is a 7-inch display alongside a 1.2GHz dual-core processor with the Amazon Android App Store to supply content for the device alongside the Kindle ebook store and a number of new film and television content deals the retailer has recently penned. What Amazon Kindle Fire features would you like to see touch down later today? Let us know via the comments box. via Kindle Fire release to be followed by second Amazon tablet | T3. So how does HTC’s Amaze 4G stack up to its European counterpart, the Sensation XE? Pretty well actually. The 4.3-inch qHD smartphone also features Qualcomm’s 1.5GHz dual-core Snapdragon CPU, but bumps the RAM from 768MB to 1GB. It’s also HTC’s first NFC toting device and joins T-Mobile’s Galaxy S II as the other 42Mbps HSPA+ -capable handset on Magenta’s network. More noteworthy is its trick eight megapixel shooter, which features the same backside-illuminated sensor, f2.2 wide-angle optics and 1080p video recording capability as the myTouch 4G Slide. Similarly, the Amaze 4G hangs on to quite a bit of that phone’s camera software, including a new composite mode that automagically creates one stellar image out of five less than fabulous snapshots. We also liked the addition of two physical camera buttons, one for stills and the other for video. First impressions of the Sense-laden, Gingerbread smartphone? It’s very much like a Sensation on steroids, with a definite T-Mobile flavor. Take a look at our gallery and hit the break for our hands-on video from Mobilize 2011.
via Hands-on with HTC’s Amaze 4G for T-Mobile (video) — Engadget. Long live the Smurfs! The popular childrens cartoon is anything but gone and it’s cult-like following keeps them popular as ever. Having graduated from TV stardom these little blue dudes had no other option than to star in their own smartphone game in order to keep their fans happy. Today, Beeline Interactive announced that they will be bringing the popular iOS game, Smurfs’ Village, to the Android Market on September 28th. The game will be free to download and play, but will have in-app content available for purchase. Having Sims-like game-play, players will start from the ground up, building and improving on the Smurf Village. Each Smurf character will bring different personalities and game-play, allowing you to take advantage of specific talents and traits. If you need to build a bridge, hit up Handy Smurf. A cake is needed? Smurfette to the rescue! You get the idea. Facebook integration will also allow players to link game progress to share the experience with friends. 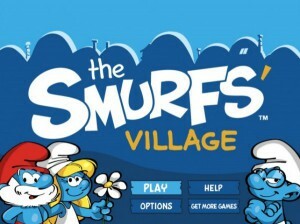 via Game The Smurfs’ Village Now Available On The Android Market Video. iPhone 5 release unveiling to be held at Cupertino Campus? With Apple expected to officially unveil the iPhone 5 release date at an October 4th event headed by newly instated CEO Tim Cook, new reports have suggested the iPad and iPod maker will shun its usual San Francisco unveiling location in favour of hosting the event at its Cupertino campus. The latest iPhone 5 rumour to circulate within the increasingly crowded pool of Apple speculation would see Apple heading for a low key unveiling of its next generation handset with the much mooted iPhone 5 to enter the realms of reality in a little over a week’s time. Citing “sources close to the company,” the Wall Street Journal’s tech blog All Things D has claimed that Apple will forgo the usual high-profile San Francisco based announcement in favour of a more intimate product showcase on home soil. The most eagerly awaiting gadget in recent memory the iPhone 5 release date has been a thing of speculation for many months with most recent reports hinting at an October 21st arrival. Looking to compete with the likes of the dual-core powerhouse that is the Samsung Galaxy S II, the Apple iPhone 5 is set to land with the same A5 dual-core CPU found within the iPad 2 as well as an 8-megapixel camera with 1080p video recording capabilities and a new slimmer form factor. 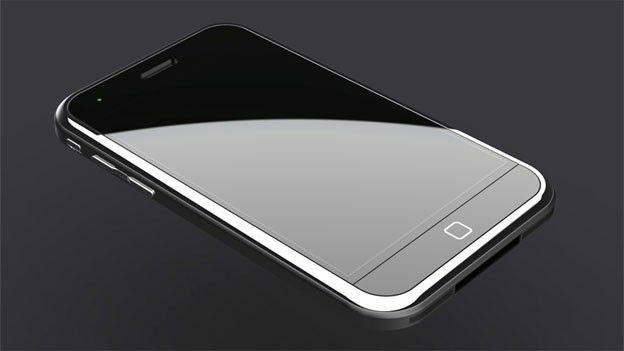 As well as the iPhone 5, Apple’s upcoming event is expected to see a number of other new products announced. Landing alongside the iPhone 5 the repeatedly leaked entry-level Apple smartphone, the iPhone 4S to set to make an appearance with the iPod range getting its annual update to produce the new white iPod Touch 3D. via iPhone 5 release unveiling to be held at Cupertino Campus? | T3. HTC Sensation XL: Launch name for the HTC Runnymede? 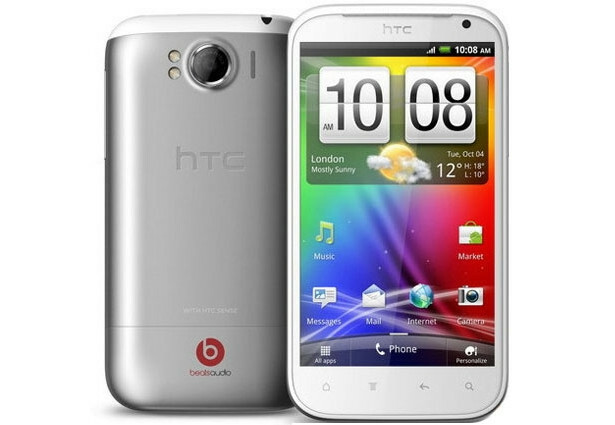 The HTC Runnymede will hit the shops as the HTC Sensation XL and not the HTC Bass, as had been rumoured, according to reports. The name would make sense as, like the recently announced HTC Sensation XE, the Runnymede will be packing integrated Beats Audio. There will be two options on offer apparently: one an in-ear buds bundle and one an over the ear job. The Android 2.3.4 phone is said to have a 1.5GHz processor, 768MB of RAM, an 8-megapixel camera on the back and a 1.3-megapixel one on the front. Its big talking point, literally, is the display at a mammoth 4.7 inches and a 960×540 qHD resolution. Storage is said to be 16GB or 32GB. The HTC Sensation XL/Bass/Runnymede has also been caught in action. A YouTube video is doing the rounds, although the footage is continually being pulled. It shows an almost-ghost like phone running on the Vodafone network in the UK. There’s no official word from HTC or any carriers yet though – chances are this could just be an unlocked tester model. 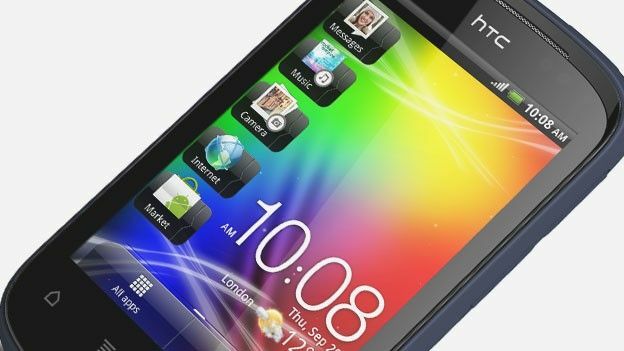 via HTC Sensation XL: Launch name for the HTC Runnymede? – Pocket-lint. The Motorola Xoom 2 has been spotted out and about and, whats more, is that it seems to have a little friend in tow – the 8.9-inch Motorola Xoom 2 Media Edition.Both tablets have been leaking like an Android filled tap all over the web this past weekend, ramping up excitement levels of fandroids everywhere.Starting with the biggie, and guestimates suggest that were again looking at a 10.1-inch model but with a meatier engine room running the Android 3.2 and Flash 11 action. The RAM is said to be the same as the original at 1GB, but it will be powered by a dual core 1.2GHz chip, possibly of the TI OMAP 4 variety.1080p video recording is said to be on board the 5-megapixel camera, which is why theres a HD logo on the camera which now finds itself in the centre of the Xoom sequels back. 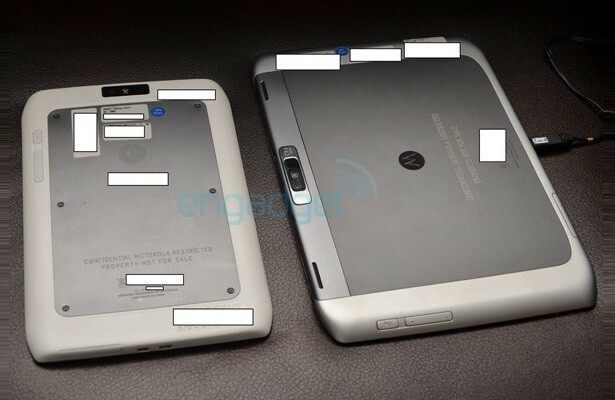 Also on the back are the physical buttons or, at least, theyre pointing backwards due to the 2s sharp angled design which measures 9mm thick.The Motorola Xoom 2 Media Editions 8.9-inch display is apparently a HD IPS one that is made of Gorilla glass and is splashproof. Its packing an integrated IR remote and a subwoofer on the chassis.Codenamed Fleming, it is also said to be running Android 3.2 and has reported thickness of 9.3mm and a weight of 430g. Theres LTE on board and, like its big bro, theres also backwards facing buttons and a 5-megapixel camera – this time positioned front and centre in a portrait setup.No official word as of yet, but hit up the original sources for plenty of leaky image action. via Motorola Xoom 2 coming with 8.2-inch Media Edition – Pocket-lint. Back at MWC, HTC officially announced the HTC Flyer, their first Android tablet. The Flyer launched with Gingerbread, despite the fact that most people were expecting Honeycomb. It’s still running on Gingerbread as of right now, but HTC made an announcement a few months ago that the Flyer will be getting a Honeycomb update, with Sense UI incorporated. Now the developer test version of the update is out, and as you can see from the screenshot, Honeycomb looks quite nice on the Flyer. It’s Android 3.2 with HTC Sense UX on top, just like its elder brother, the JetStream, which was launched by HTC and AT&T few days ago. XDA forum member globatron successfully ported the ROM to his HTC Flyer and posted the screenshots. The Sense UX version number is also 1.1, just like the JetStream. 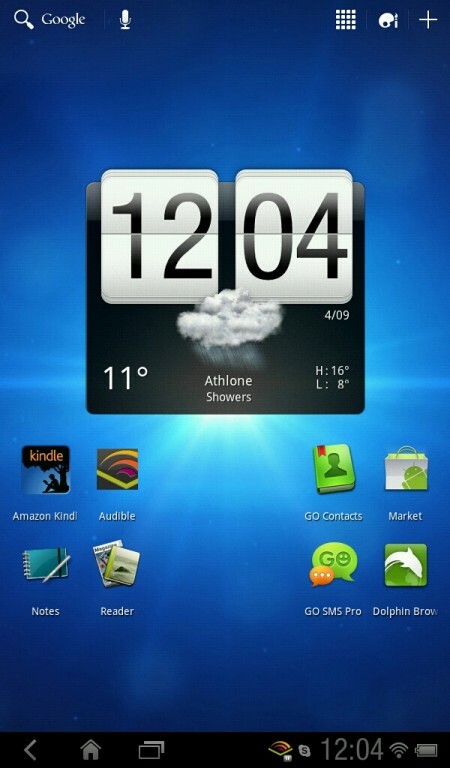 via HTC Flyer Honeycomb Screenshots Leaked › AndroidGuys.